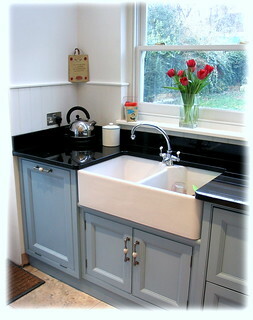 This is a farmhouse sink, although many people would call it a double Belfast sink. Whatever you call it; it's a very practical version of a traditional look. The second bowl can be used for soaking or draining things.